Reclaimed bricks can originate from old mills and stately houses to pavements, range in age from a few years to centuries old, and come in a variety of colours, shapes, sizes and textures - some even contain fossils and other debris from their original source. This means that when selecting your materials, you want a wide range that reflect these variations and are in keeping with the period of your home. 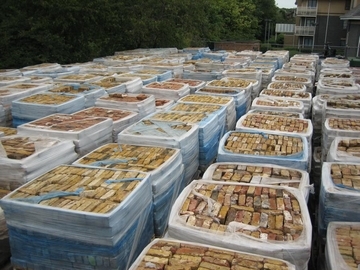 With all this in mind, it's important to use a reclamation yard who is known for sourcing quality materials. Reclaimed bricks are usually divided simply into two kinds, Handmade and Machine Made. They are also available in many colours; you can buy red, yellow, orange, blue, purple, brown, white, and black bricks in both hand and machine made, although by far the most common are Reds and Oranges, and every imaginable shade in between the two. Machinemade bricks are harder and heavier than handmades, and the surface is often smooth and shiny, although this is not alway the case. The machinemade bricks are most commonly also known as `Wire-cuts` because a lot of them have fine, close lines scored along both wide faces which are from where they were made: A wire much like a cheese wire was used to cut the clay from the top and bottom of a brick mould, see below for a few machinemades. Note: not all machinemade bricks have this it is only one, albeit common, method that was used. 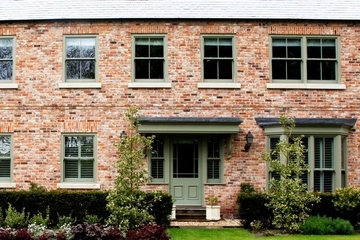 The biggest challenge when buying or selling bricks is matching them up to existing work, if you are building extensions or adjoining walls of any kind, or if you just want to keep the new building in keeping with the appearance and atmosphere of structures already in place what you must do, if possible, is get a sample or 2 from the existing brickwork and bring it in to our yard and match it up to our stock. Another speciality brick that we always try to stock is the `Tudor brick`, these are thinner than normal at 2" to 2.25" thick, and are usually used to build fireplaces. They are not usually quite as old as the tudor period, but are amongst the oldest bricks available, usually 100-200 years old or even more. 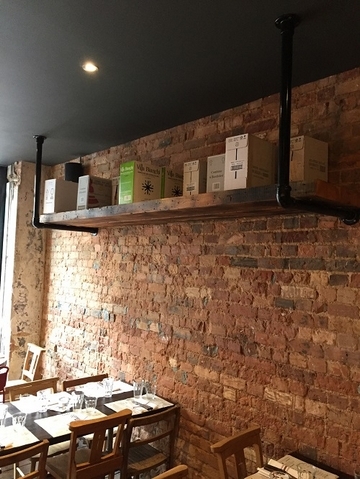 There are various other brick types that are fairly commonly known, although are used far less often due to the area they come from or simply their cost and speciality of application. For example, you can get some Machinemade bricks known as 18-Hole Bridgewaters There are many ways to distinguish Handmades from Machinemades, and it is a case of seeing and knowing straight away to the expert eye, the most common mistake that people make is that any brick with a `frog` is a machinemade. The frog is the indentation found in most bricks, often in the shape of an elongated pyramid inverted in the top of the brick, in other words `cut-out` of the brick. Which are very hard and have 18 holes in them much like the common engineering brick. What should I look for when choosing reclaimed bricks? 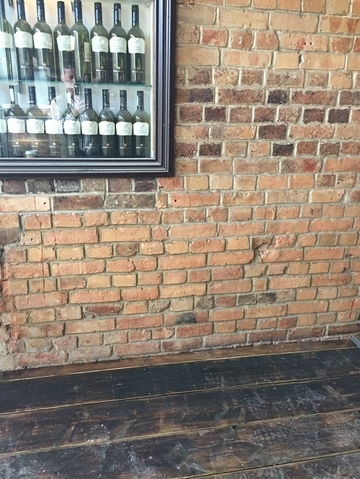 Rescued from old buildings and cleaned up, reclaimed bricks have edges that are typically worn and irregular, and may have remnants of mortar due to their original use. 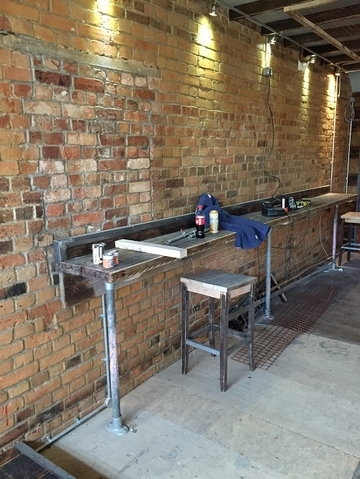 Good quality reclaimed bricks only require two workable sides, one bond and one stretch. Many will have fine creases, characteristic folds and variations in colour that typify old brickwork. It is this combination that many feel gives reclaimed materials a charm and character all of their own. Reclaimed materials are a more expensive option due to the costs of sourcing and laying, so always choose an experienced supplier who can guarantee an efficient service, from delivery to completion. Reclaimed bricks vary in price depending on type, age, quality and quantity, so it makes sense to shop around. Common red bricks cost from as little as 85p each, whereas the rarer buff's can cost from �1.50 upwards. 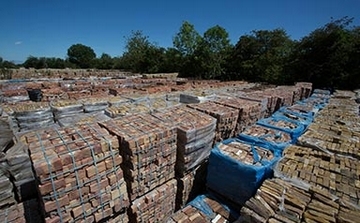 Here at Ace Reclamation we hold over 50,000 reclaimed bricks in stock at any one time, so if you need to patch in an existing wall, or build a new house. We are the place to come.